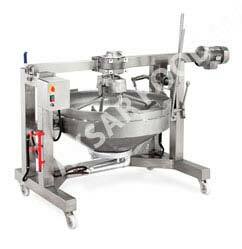 We are one of the primary producers of Halwa Making Machine. We are acknowledged for the quality product that we provide to our customers therefore, we do not compromise on the quality of the product at any circumstance. Supreme quality raw materials are used in the production of this commodity. The quality of the product is tested after the production of the product is done completely.